Good Hotel ... Small hotel during the renovation. Friendly staff. Poorly operating air conditioning. Good location near beach. Noise coming from the street. 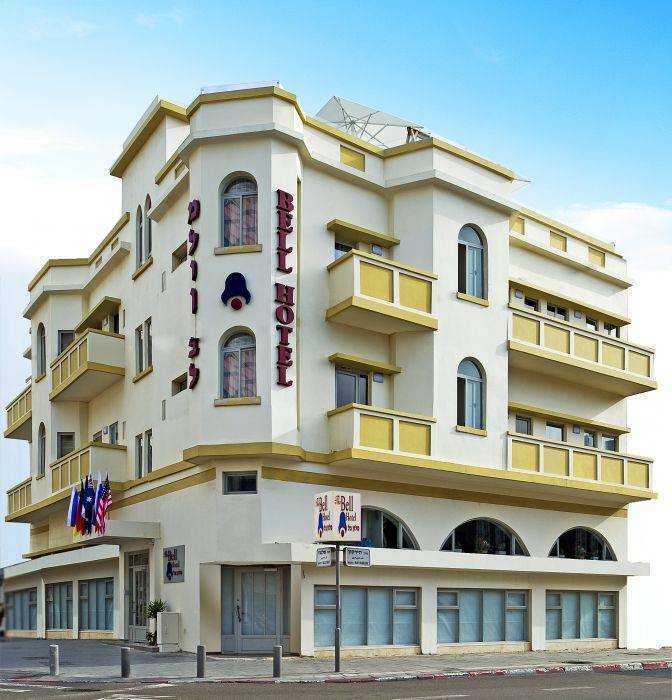 A few steps away from the beach of Tel Aviv resides the Bell Boutique Hotel. The historic building, built in the Eclectic Architectural Style which flooded Tel-Aviv during the 1920's of the last century, takes its visitors back to the "White City", whose name has become well-known around the world. 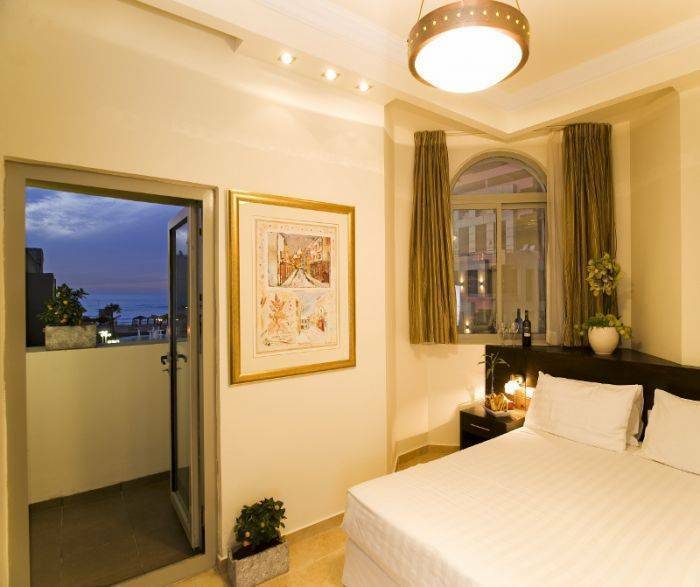 The hotel offers its guests a taste of "Old Tel-Aviv", without relinquishing today's advancement and comfort. 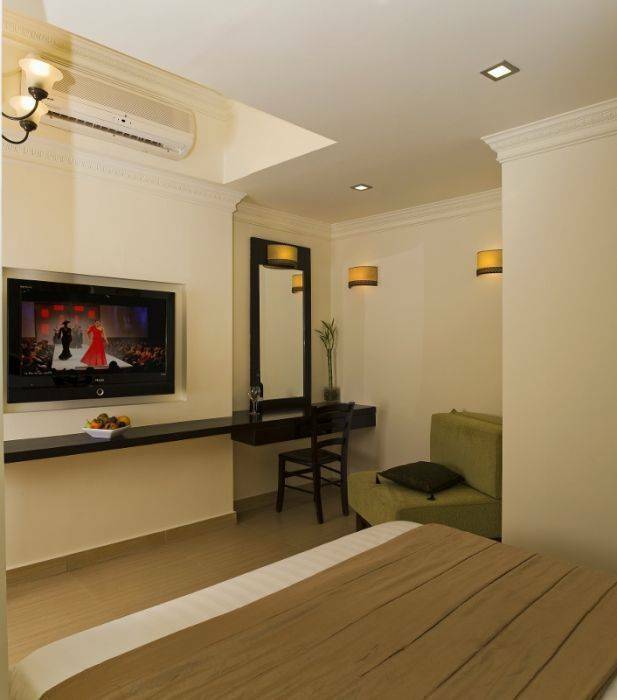 Its 25 rooms are designed in clean classic lines, while emphasizing even the smallest details. 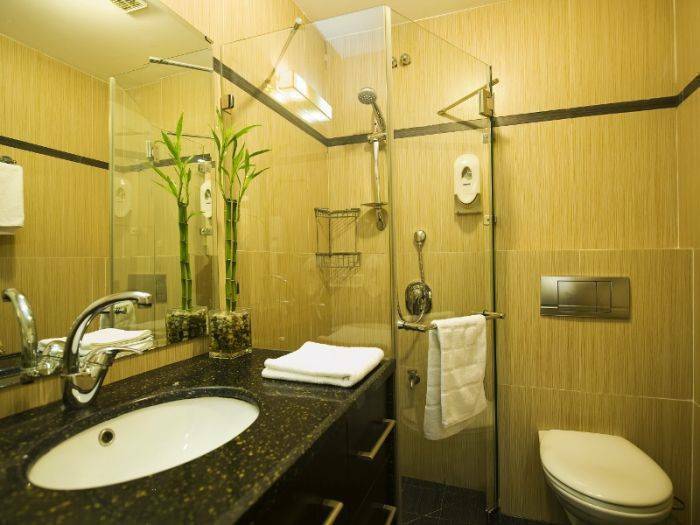 The in-room amenities include an LCD cable TV, Air Conditioner free wireless internet access, refrigerator and coffee making facilities, hairdryer, telephone and a fully equipped bathroom. Some rooms also contain a Jacuzzi and terraces overlooking the sea. 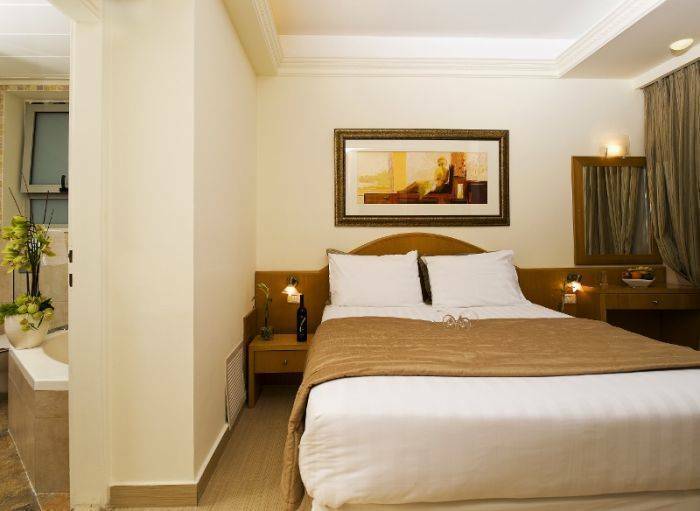 The hotel includes rooms suitable for families, equipped with a baby crib. The hotel's guests enjoy free parking in an adjacent parking lot and amazing sun roof with sea view. In addition to its meticulous design and superb location, the Bell Boutique Hotel grants its guests a quality, personal and professional service, given by a superior, qualified and devoted family staff. The hotel offers an assortment of quality luxurious boutique services, served in a familial intimate ambient, through personal and warm attention for each and every guest, always accompanied by a smile. At the hotel: a solarium terrace overlooking the Tel-Aviv beach, free parking, fax services, an opulent fresh Israeli breakfast, spa and Turkish Hammam, sauna and a salt room. 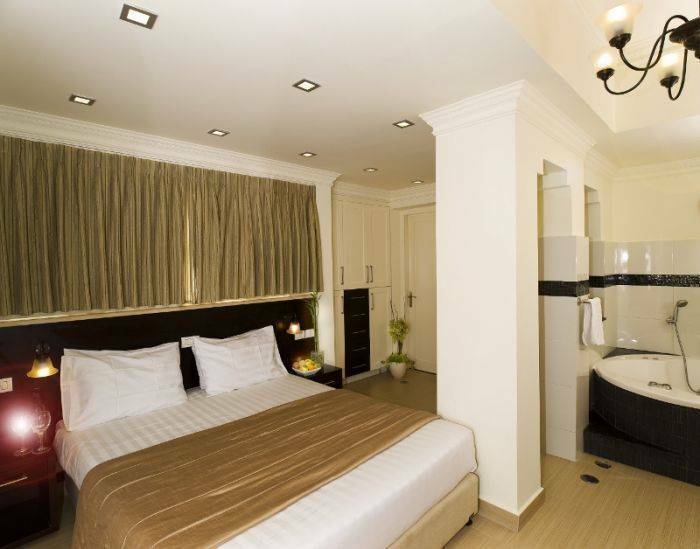 All the rooms contain an LCD cable TV, free wireless internet access, refrigerator and coffee making facilities, hairdryer, telephone and a fully equipped bathroom. Rooms with a jaccuzi and terraces overlooking the sea can be booked. Additional rooms are adjusted for families and are equipped with a baby crib. The hotel is located on 50 Hayarkon St., in Tel-Aviv, a few steps away from the beach, in close proximity to the major tourist and entertainment sites of Tel-Aviv: the lively and bustling beaches and promenade; Central Tel-Aviv including its offer of diverse cafes and unique places of entertainment and shopping - Ben-Yehuda Street, and the Dizengoff and Ben-Gurion Avenues, Tel-Aviv's Port Entertainment Complex; Old Jaffa and the Flea Market; the colorful and fragrant Carmel Market; Nachalat-Binyamin Pedestrian Mall and its Artists Market, the historic Neve Tzedek neighbourhood and more. The bicycle rental store nearby the hotel will allow you to easily and quickly reach each of the destinations you choose, and the close currency exchange office will make it easier for you to enjoy the abundance offered by the city.